I can’t wear any fun fall clothes yet coz it’s just too stinkin hot. Is anyone getting any relief from the heat yet? So I’m gonna rock the sherbet colors of summer a little while longer and have fun doing so. I’ll always think of jean skirts as a classic staple. Do you wear them and what’s your favorite length? 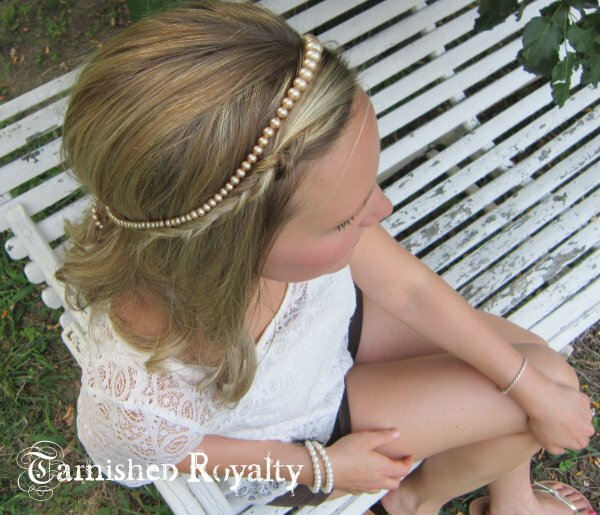 GIRLS WANT PEARLS: Whats a Girl To DO? For today’s Girls Want Pearls I enlisted the help of my darling daughter-in-law. She was gracious enough to style her hair in a couple of ways and let me add in pearls to let you see how lovely it can be. 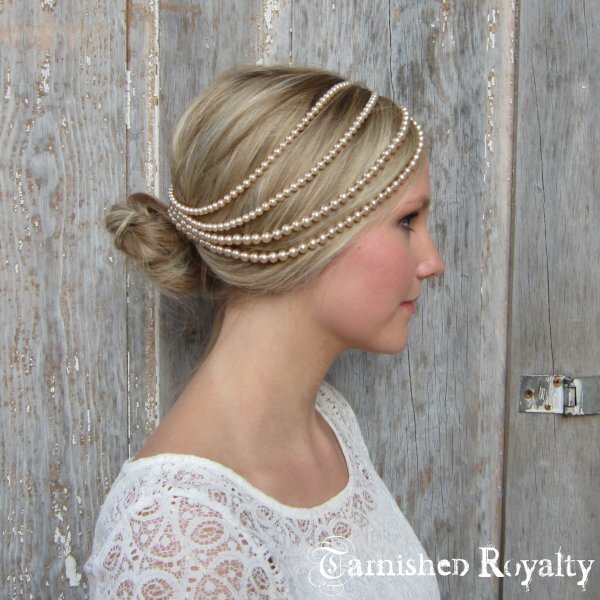 With a simple addition of a pearl necklace or strand you can take your “do” from ordinary to oh yes! 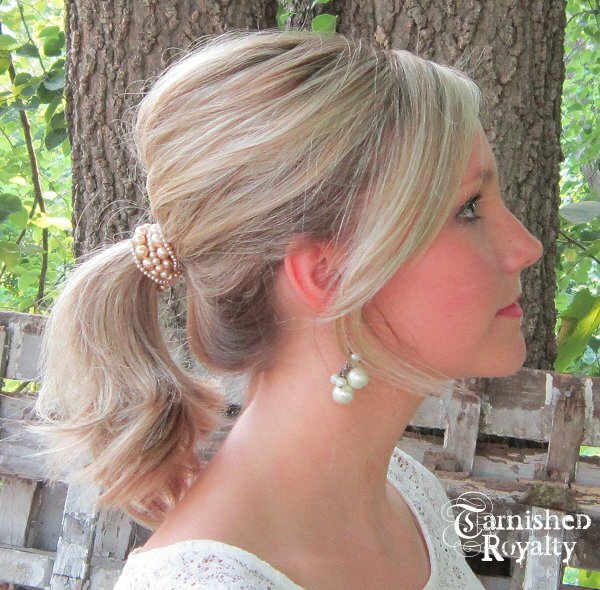 For this look we just put in a ponytail holder, then wrapped a couple of pearl strands in different sizes and secured with bobby pins. 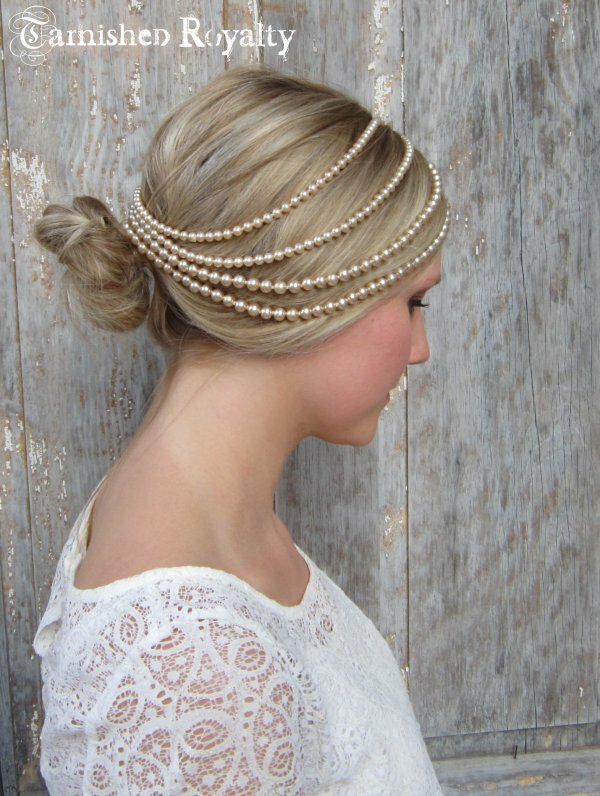 A stretchy pearl bracelet would work just as well, wrapped around a couple of times. It’s a look that could go casual or dressy. For the second look, Morgan did half-up braids on both sides. then secured with bobby pins in a couple of places. Sort of has a bohemian look and is just fun. The third look is our favorite and so so easy. 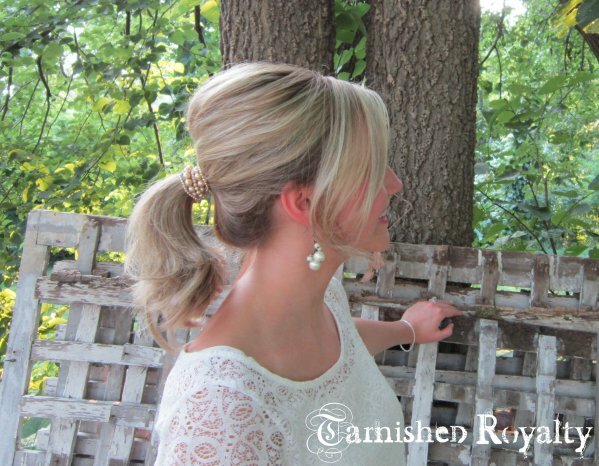 I used an old four-strand necklace and just laid it on her head, starting at the part and following the curve of her upswept hair and secured it with bobby pins at the part and at the back. Doesn’t she look beautiful? 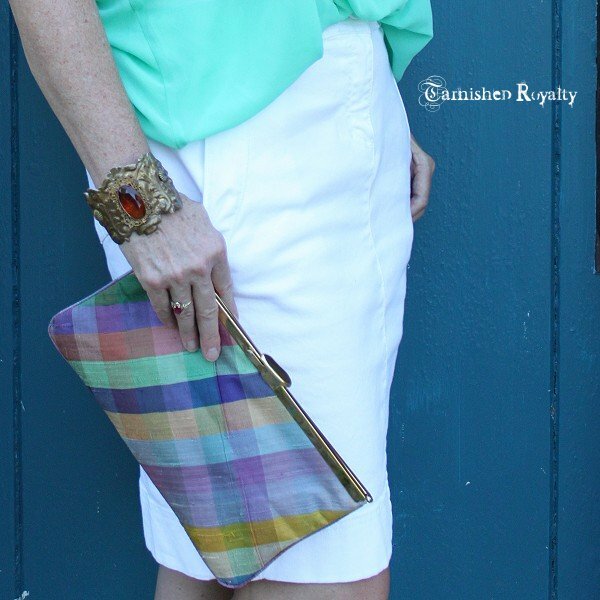 It’s a really quick way to dress up your look and make it super elegant for a special occasion. 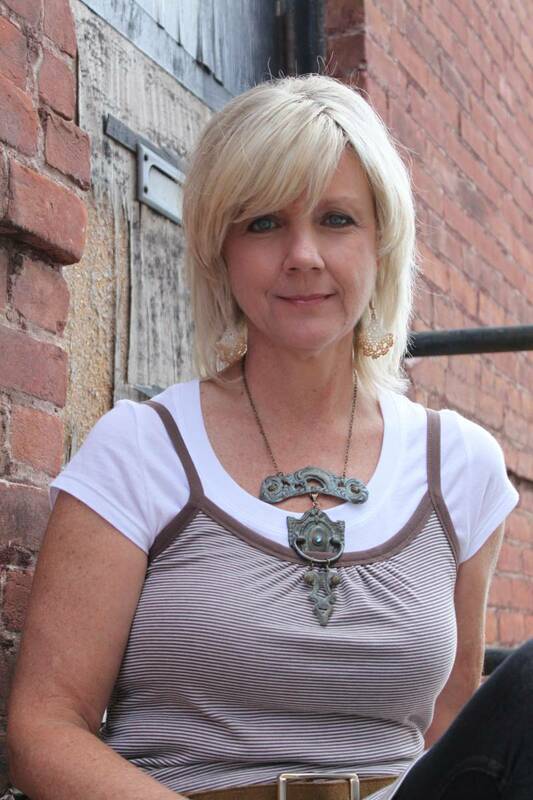 You could modify it by using multiple single strands if you don’t have a multi-strand necklace. 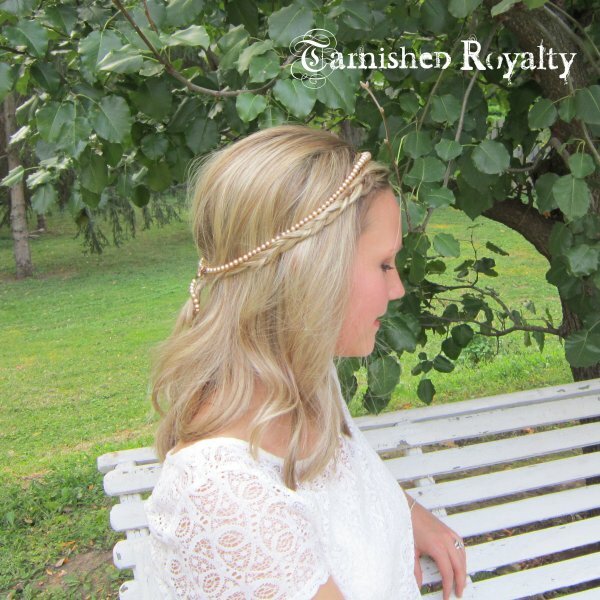 Would also be lovely with a ponytail, updo or half-up. Next Monday’s post: Can’t tell you what but it promises to be heavenly. Well, here goes. My first post of what I wore and how I wore it. 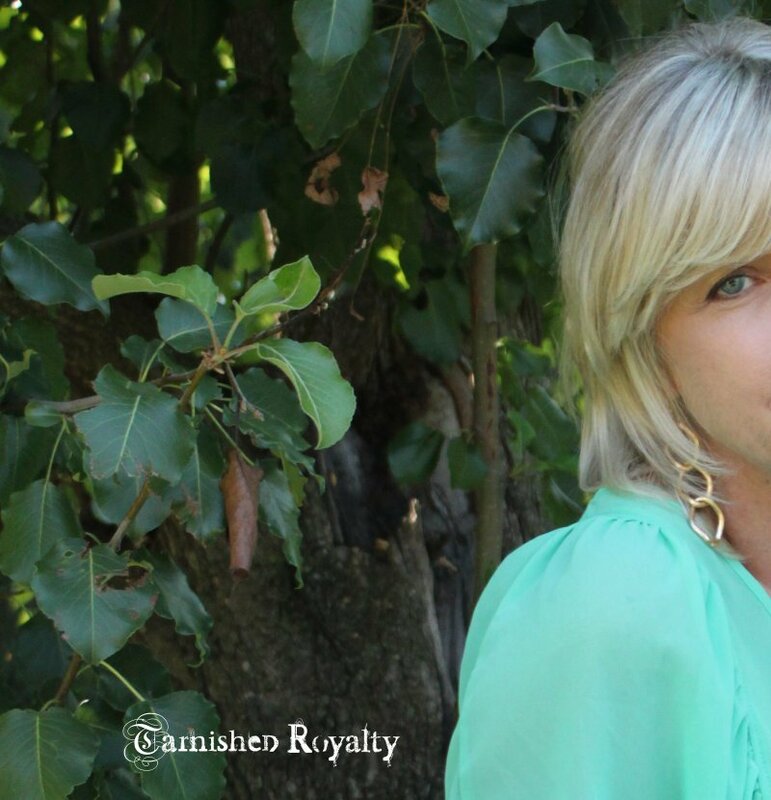 I’m really feeling a little shy about this, but since I love, love, love fashion and I design jewelry it only makes since to share this part of my life with my readers. 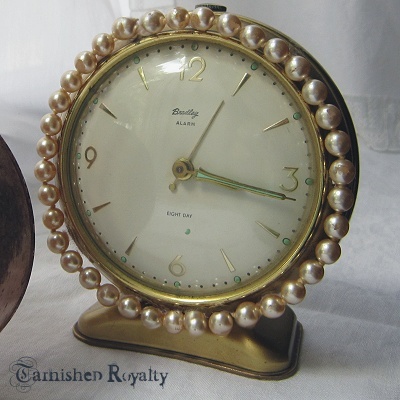 Today I have chosen to pearlize an object that is both practical and lovely to look at ~ the clock. I used to have a huge vintage alarm clock collection. I have sold most of them by now, but have held on to 2 or 3. They’re just so cute! They deserve to have a necklace of pearls. 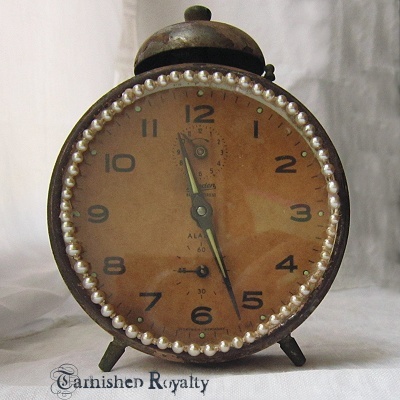 You can use tiny pearls or larger ones, depending on the size of your clock and your preference. Just use E-6000 or your favorite adhesive. Pre-determine the length you need and cut your strand accordingly. Starting at any place on the face, with the clock laying on its back, glue the first couple pearls at the end of your strand. It’s easiest if you allow these to dry before continuing. Once they are dry you can glue pearls to about the half way point or quarter point and allow to dry. Continue with the final sections in the same fashion. 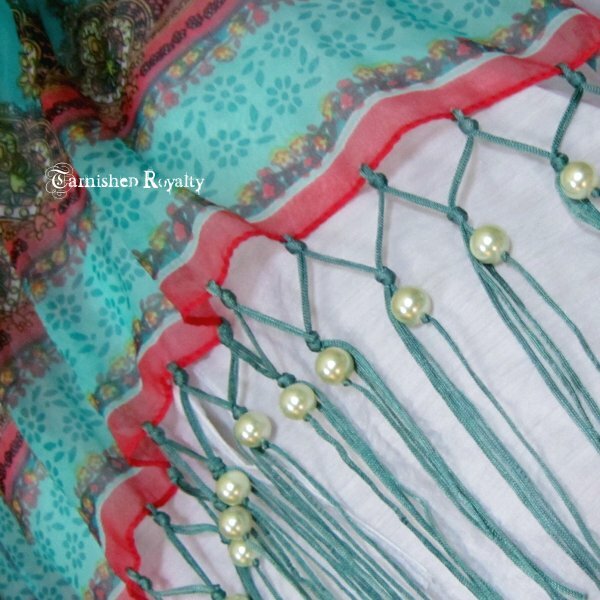 A word of warning: if using vintage pearls, be aware that they may eventually pull loose from their coating. Modern pearls usually have their color baked on and won’t do that. 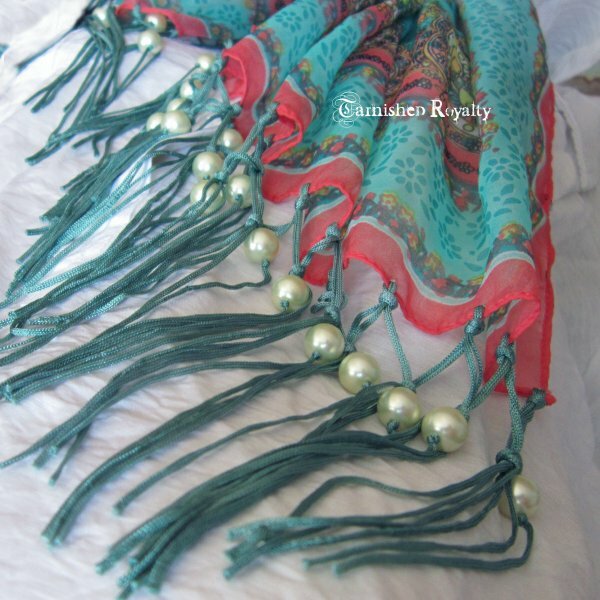 But I have used vintage pearls in lots of projects and have pretty good success with them. Next week’s post hint: What’s a girl to DO? 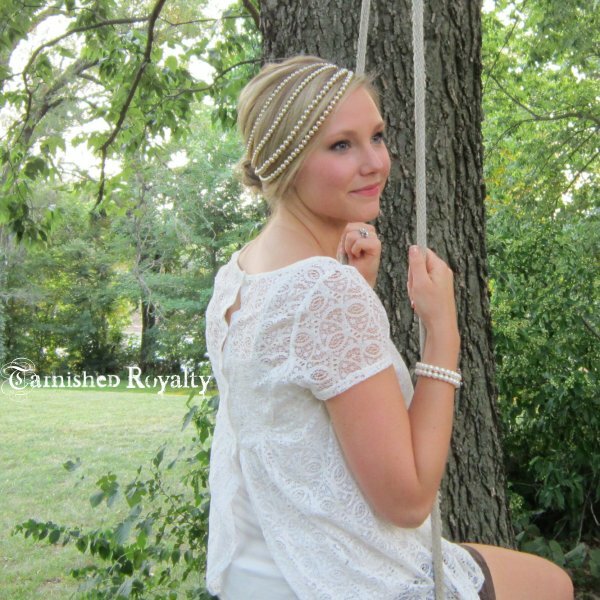 Girls Want Pearls Post #1: FROM PRETTY TO FABULOUS! 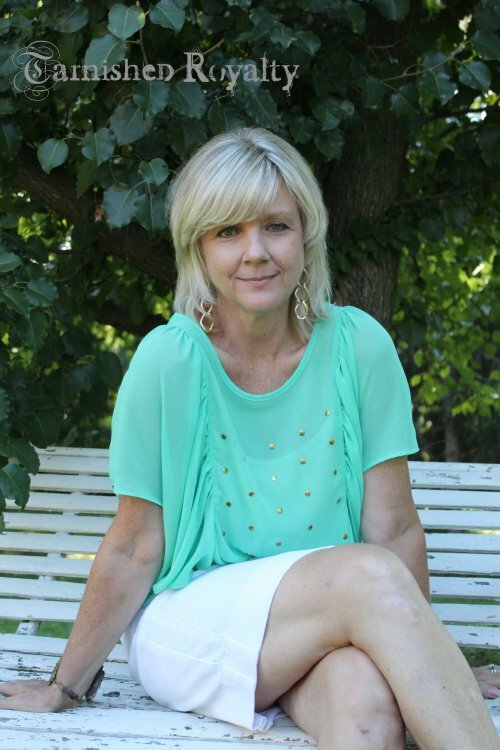 Welcome to the very first Girls Want Pearls post! 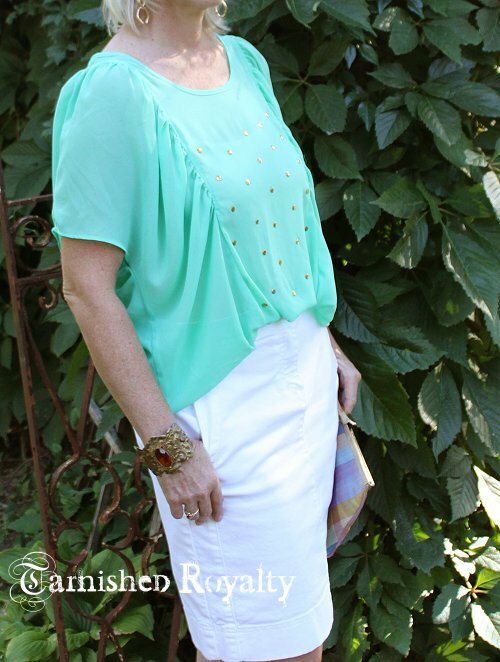 The first of 52 posts all about pearls. 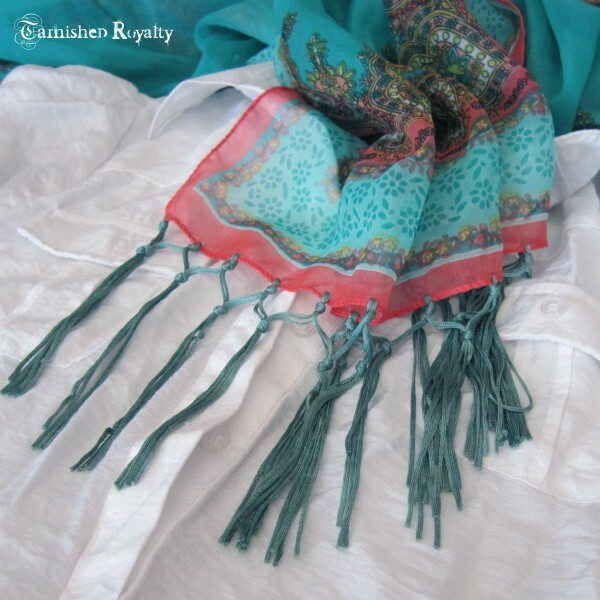 TURNING A FRINGED SCARF FROM PRETTY . . . I decided to launch my series using one of my all-time favorite accessories. 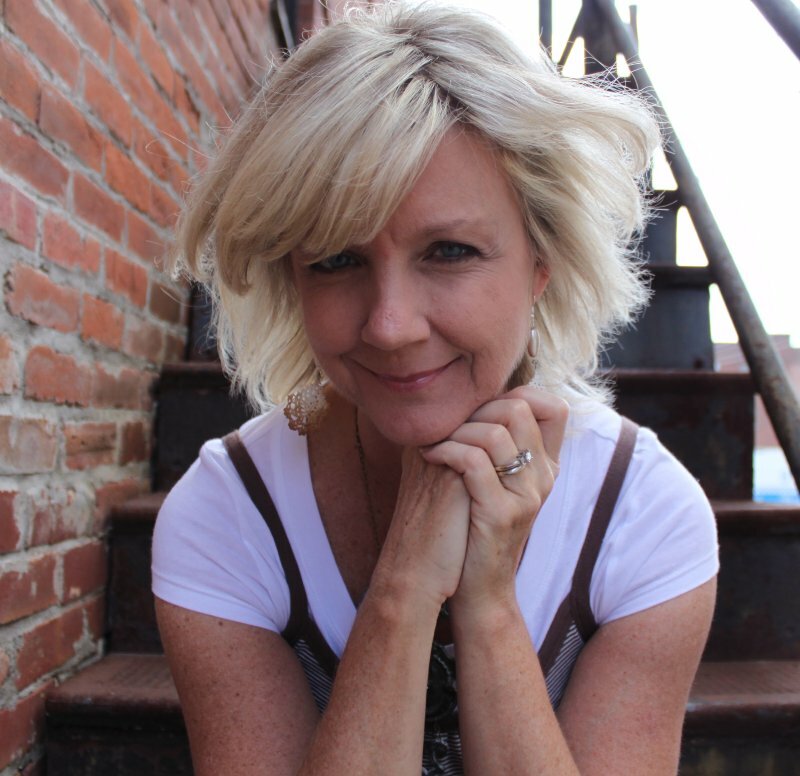 of these versatile fashion staples. *please note here ~ large holed pearls work best. There is a workaround that I’ll explain but it is more labor intensive. And if you use large-holed pearls that’s it for the supply list. 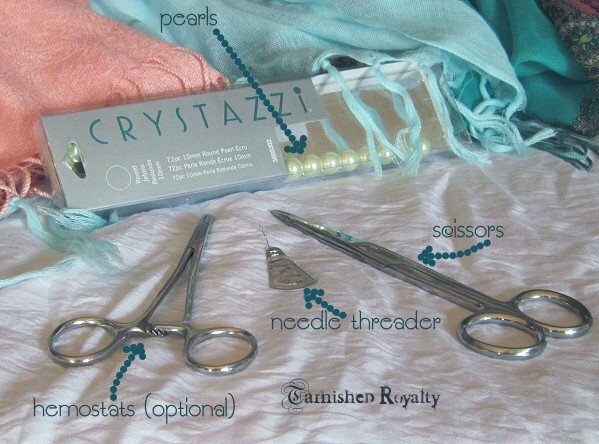 It’s as simple as threading a piece of fringe through the hole in the pearl, sliding the pearl to the top and tying a knot (or two if needed) right below the pearl to hold it in place. Depending on the size and type of the fringe as well as the hole in the pearl, you may choose to slip one or multiple fringe threads through the pearl. 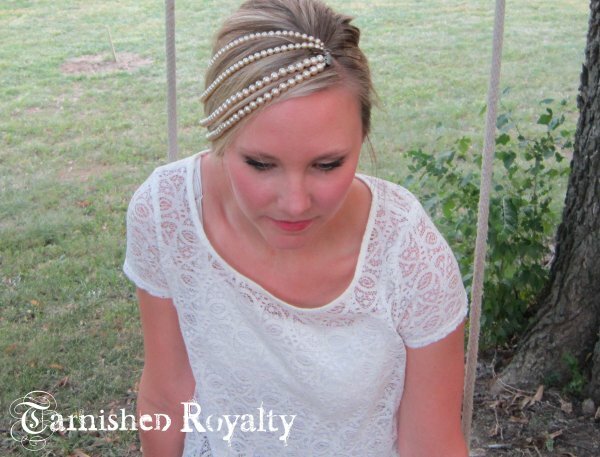 You could also “pearlize” alternating fringe if you didn’t want to do every one. 1)Insert the needle threader into the hole of the pearl. 5)Remove the threader and tie a knot just below the pearl to hold it in place. In my example I used small hole pearls and the slower method. It took me a little over an hour to do 32 pearls (16 on each scarf end), but I was jittery from too much coffee so you may be able to accomplish it in less time :). I can’t wait to share another pearly post with you next Monday. I won’t tell you what it is but here’s a hint: not just another pretty face. And don’t miss a giveaway for a pair of my Locker Tag Earrings at Cayli’s blog Night Chayde ending Thursday night! I am a huge fan of Project Runway. I love everything about it (I could maybe do without some of the drama). I love watching the designs evolve, shopping at Mood, the workroom, the hotel scenes, the competition, the judging, etc., etc. 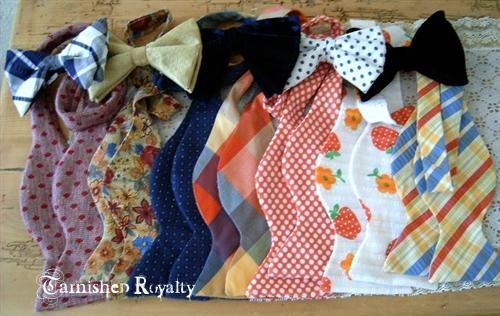 Last night the designers had to incorporate bow ties into their designs. 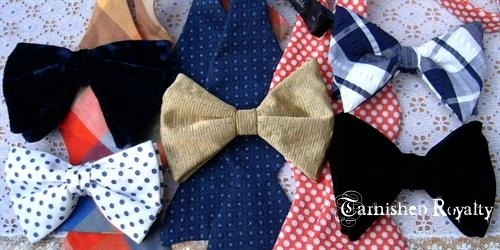 A few years ago when I bought and sold antiques and vintage, I came across a sale that had a huge box of vintage bow ties and neck ties. I bought it for next to nothing and here is a pic of one lot that I sold on ebay. If you look closely you’ll see some really fun(ny) prints.